Fans of road trip novels–and there a many of you out there–can debate for hours which one deserves the crown as the Great American Road Trip novel. And while you could try to include sub-genres, such as “road trips” on water (Huckleberry Finn) and “road trips” on hiking trails (Bill Bryce’s A Walk in the Woods), there is something uniquely American about the great road trip story. 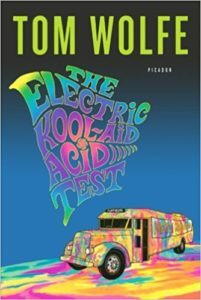 My short list of nominees, in addition to Fear and Loathing, would include Jack Kerouac’s On the Road, Tom Wolfe’s The Electric Kool-Aid Acid Test, and Robert Pirsig’s Zen and the Art of Motorcycle Maintenance. 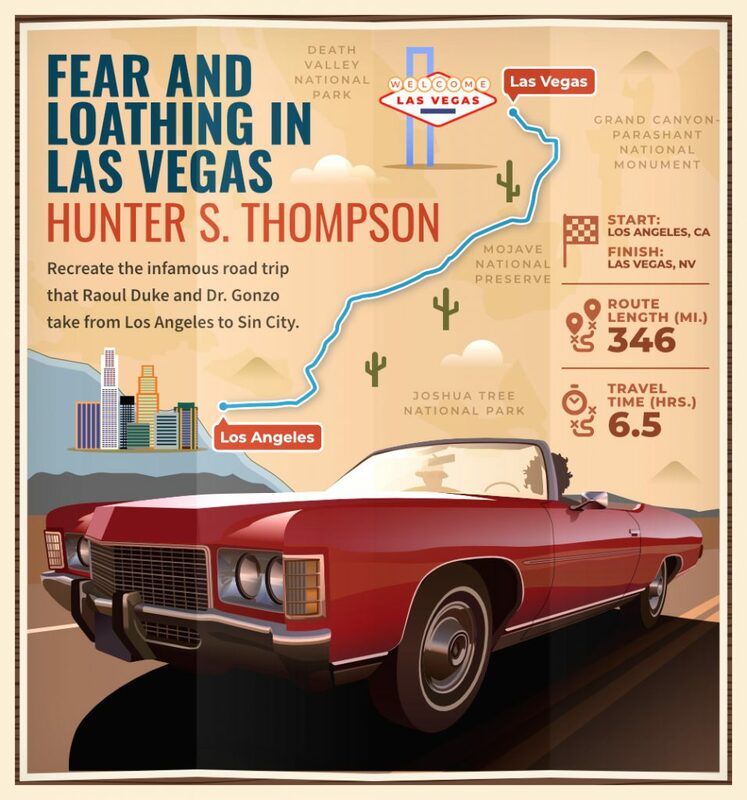 Thus imagine my delight when I discovered another American road trip fan out there whose tastes not only matched my own but who has created a beautiful and captivating set of “travel guide” maps for the routes of some of the the most famous road trips in American literature, including the Fear and Loathing map displayed at the top of this post. Keilah worked on this concept with CarRentals, who mapped out their guide to literary road trips across America so that the rest of us could set off on an adventure of our own that follows a narrative arc. So if you share my love of American road trip novels, get ready to experience a true delight and then click here. Have fun!! And thanks for sharing, Keilah.